Marzocchi supplied arms to Spanish anarchists at the start of the Spanish Revolution and fought on the Aragon front from October 1936 until 1937. This is his account , covering the counter-revolution of May 1937 in Barcelona and the Communists’ murder of Camillo Berneri, published in this expanded second edition with a timeline of Marzocchi’s life from "Umanita Nova". He was born in Florence on 10 October 1900. A shipyard worker in La Spezia, he became an anarchist at a very early age and by 1917 was secretary of the metalworkers’ union affiliated to the USI (Italian Syndicalist Union), thanks to his youth which precluded his being mobilised for front-line service as a reprisal. During the “Red Biennium” he took part in the struggles alongside the renowned La Spezia anarchist, Pasquale Binazzi, the director of Il Libertario newspaper. In 1920 he was part of a gang of anarchists that attacked the La Spezia arsenal, overpowering the security guards and carrying off two machine guns and several rifles, in the, alas disappointed, hope of triggering a revolutionary uprising in the city. In 1921, visiting Rome to reach an agreement with Argo Secondari, he took over as organiser of the Arditi del Popolo (People’s Commandos) in the region; this organisation was to give good account of itself during the “Sarzana incidents”. Moving to Savona, he organised the meeting between Malatesta and the pro-Bolshevik Russian anarchist Sandomirsky who arrived in Rapallo in the wake of the Chicherin delegation as its Press Officer. By 1922, wanted by the fascists, he left the country, playing an active part in the activities of the anarchist exiles in France and Belgium. In 1936 he was in Spain with the Italian Column and there took part in the battle of Almudevar. After Camillo Berneri was murdered, he returned to France where he handled aid to Spanish refugees. After the Nazi occupation, he joined the Maquis in the Pyrenees, part of a mixed unit made up of anarchists, socialists and French and Spanish communists (Group 31, Area 5). In 1945 after the Liberation he returned to Italy where he became one of the most active publicists, speakers and lecturers of the newly formed Italian Anarchist Federation (FAI), which at that time was an umbrella for the whole of the Italian anarchist movement. In 1971 he was appointed secretary of the International of Anarchist Federations’ Liaison Committee, a post he filled for 12 years. In 1977, by then almost eighty, he was arrested in Spain during an international anarchist gathering. He died in Savona on 4 June 1986. What follows is taken from a long video-taped interview that Paolo Gobetti from the Turin-based National Film Archive of the Resistance made with Ugo during the ‘70s. It was then (after he had successfully escaped the fascist goons in Savona who were after him – editor’s note) that I decided to clear out, to leave the country. After a number of adventures I arrived in Paris. I had no identity papers and I obtained a set, becoming Buonaventura Della Manica and under that name I opened a bookshop in Lille in northern France. I worked hard but I was regarded as a bourgeois, although I carried on with my activities. But, obviously, not so openly as before, although I had my uses, Lille being on the border with Belgium. I used to cross the border nearly every week, so the customs officials knew me. As a result they were not so vigilant and I was able to smuggle across Bonomini, just as I did Durruti, and Ascaso. Then came Ernesto Bonomini’s attentat. He killed the secretary of the fascists abroad, Nicola Bonservizi. Bonomini got an eight year jail sentence. When he got out he turned to the Political Victims’ Support Committee for help and they sent him to me. I managed to secure a military passbook for him and on the strength of that document, Bonomini, who could not venture outside of the Paris area, was able to stay in my house. I had him there for over two years before they discovered him, arresting him and arresting me as well. In 1933, my residence permit was cancelled completely. So I was left without any identity and in 1935 I assumed a new identity, as Gaston Bouillon, a Frenchman. (That year) we held a get-together near Paris, in the suburbs. This get-together set out the tasks that each of us had to perform in the event of a social upheaval. Berneri, Rivoluzio Giglioli and other comrades and I worked on matters of this sort. So that when the rebel generals attempted their coup d’état in 1936 in Spain, we already had our plans drawn up and we had our committee. We met in Paris and then we decided that Berneri should leave right away for Barcelona, along with Renato Castagnoli and Rivoluzio Giglioli. I stayed behind in Lille. Why Lille? Because Lille borders Belgium. And Belgium has the most modern arms factories. Through a comrade, a businessman, I managed to get from some factories some arms that cost me more to smuggle across the border than they did to buy. I managed to make two deliveries through Spanish comrades who came to make the pick-up themselves, but after the second one, the police showed up and arrested me, not over the arms but for breaching the expulsion order. I was sentenced to a month in prison. As soon as I was freed, I was off to Spain. I caught a train from Perpignan and crossed the border at Port Bou, arriving in Barcelona on schedule. Stepping out of the station, I saw red and black taxis. All vehicles displayed black and red banners. I went to a hotel, booked a room, grabbed some sleep and then it was off to a restaurant for a bite to eat. Nothing had changed except that there were no bosses around and that the union was running things. By the evening of 19 July radio broadcasts were announcing that an army revolt had erupted all across Spain and that Barcelona had risen to counter-attack and frustrate it. By 20 July the press carried lengthy but as yet confused reports from which it appeared that in various parts of Spain the populace was resisting the rebel generals who had mutinied against the Republic. In every one of those reports the role of the anarchists of the FAI and the unions of the CNT was so played up as to lead one (and especially those of us who were anxious for further news) to believe that these were the only ones encouraging and urging the people to stand up to the rebels. On 21 and 22 July, the reports noted the capture of the Atarazanas barracks by the people, the surrender of General Goded and other officers commanding the Barcelona garrison, the heroic death of Francisco Ascaso – well known in France for having organised a plot against the life of King Alfonso XIII in Paris in 1927, a plot thwarted by French police when they arrested Ascaso himself and Durruti – the capture of the Montaña barracks in Madrid, the seizure of the factories, the burning of churches, the spontaneous direct organisation of the city’s essential services by the people. The coup attempt had drawn a reply in the form of popular insurrection: this was revolution! Among the anarchists in Paris and elsewhere in France all was excitement, coming and going, enthusiasm. Even some of the leading battlers of Italian antifascism, like Angeloni, Rosselli and others were sitting up and asking questions. We had our first direct news from French comrades in Toulouse and from comrade Pasotti in Perpignan: throughout the war he was to be a splendid go-between keeping us in touch with Spain. We discovered that the Spanish comrades were fighting with makeshift weapons and that death was cutting swathes through the ranks of the people and among the anarchists who were the most daring. The rebel generals, who made use of the garrisons under their command, had the bourgeoisie and the clergy on their side: from the outset the would-be coup had taken on an anti-Republican and fascist character. Every bourgeois house, every club premises or premises of known capitalist bodies, every church – and there were lots of these in Barcelona and throughout Spain – was converted into a fascist redoubt, from where machine-gun and rifle fire mowed down the populace in their hundreds. Yet the response from the people and the anarchists was improvised, spontaneous and powerful enough to mop up those allied forces in the city within a few days and to drive them out, with the anarchists formed into centurias of the ‘Catalan Militias’ free corps in hot pursuit, as far as Lerida and Sietamo, where there was fierce fighting, and to the very gates of Huesca and Zaragoza. Inside these last two cities the cowardice of the republican governors who negotiated with the rebels instead of urging the people against them as had been done in Barcelona, led to the slaughter of anarchists and revolutionaries and allowed the Francoists to ensconce themselves and fortify their positions. In Paris we devoured all these reports. We decided that Berneri should set off with another comrade, whilst we would stay behind to see to the urgent business of arranging the arms, medicines and other materials essential to the Spanish fighters. Berneri wrote back. In Perpignan he had found himself surrounded by lots of other comrades who were flooding in from all over France. They had been drawn towards Spain by an irresistible magnet. The presence there of anarchism, the architect and driving force behind the revolutionary thrust, the feeling of solidarity, the realisation that the involvement of the whole population in the social conflict might well trigger the decisive revolutionary backlash, so long yearned for, against international fascism – at that time the last word in tyranny and an ongoing threat of world war – moved all anarchists without distinction. Michele Centrone, Girotti, Bifolchi, Perrone, Bonomini, Fantozzi and Berneri arrived at the border along with many another. Organisationists and anti-organisationists, pure anarchists without adjectives and anarchists who had always campaigned inside the unions all turned up, drawn together by a serious intent that smoothed over differences of tendency and healed disagreements. Dauntless, impatient and in solidarity with one another and with the Spanish comrades, every one of them searched for ways to deploy his own talents and gifts of spirit and intellect, without need of leaders, guides, orders or plans, revelling in a common inheritance of splendid good sense, courage, resolute determination, ready, if need be, to offer up his own life so as to afford anarchism, which was being put to the test in Spain, the chance to become a bright beacon of concrete experiences in a dumbfounded world that was looking on, partly cursing it and partly in admiration. During the last fortnight in July our activity was intense. We had established contact between Rivoluzio Giglioli in Paris, myself who was living underground in Lille (having been the subject of a deportation order) near the Belgian border, and Mantovani in Brussels on the Belgian side. The French comrade Trucheaux from Toulouse was our liaison with the Spanish comrades. With the help of Hoche Meurant, a French anarchist living in Wattrelos on the Franco-Belgian border, we managed to make a few purchases of rifles from various arms factories in Belgium and ship them out to our Spanish comrades. In Barcelona, meanwhile, Berneri along with Bifolchi, Rosselli, Angeloni, Calosso and a few others came to an agreement with the FAI and CNT comrades, through the good offices of Diego Abad de Santillan on the formation of an Italian Column made up of volunteer antifascist fighters: this was to be attached to the Francisco Ascaso formation of the ‘Catalan Antifascist Militias’ operating on the front in Aragon. Camillo Berneri had been one of the speakers at the huge, solemn anarchist rally of more than one hundred thousand people in the arena of the bullring, bringing the greetings and effective solidarity of Italian anarchism to the revolutionary struggle being waged by Spanish anarchism. Comrades who had already been living in Spain – Fosco Falaschi, Virgilio Ghozzoli, Nicola Turcinovich and others- joined the new arrivals whose numbers were growing by the day. And so the column was set up. The group that had formed around Berneri, tireless in its efforts, its requests and its organising activity, managed to procure weapons, munitions, clothing and mules. In the Pedralbes barracks (renamed the Mikhail Bakunin barracks), in the redoubt which Pio Turroni and Giusti from Bologna were to occupy and through which we all passed to be issued with our equipment prior to setting off for the front, the preparations of the first International Column made up of anarchists and revolutionary antifascists who had voluntarily arrived to take on fascism on Iberian soil, were completed. On the evening of 19 August the Column set off for the front. Along the route from the barracks to the railway station it marched through the streets of Barcelona flanked by a cheering populace. It looked the part with its rifles, machine-guns, mules, field kitchen and first aid teams with the doctor Ricciulli and the car with Umberto Calosso at the steering wheel. At the station, men and equipment were loaded aboard the troop train. All that night the delighted crowds hovered around these men, offering them wine, cigarettes and food whenever they pulled into the stations along the route, in Manresa, Terrasa, Tarragona and Lerida where they arrived the next day at daybreak. Angeloni was in command of the Column and he was regarded as the most expert and technically competent, because he displayed extraordinary organisational talents and there was also the matter of his cheerful manner and the absence of all swagger. Everybody had absorbed a little anarchism and they all tried to avoid positions of command by staying invisible and backward in the ranks. On 21 August the Column arrived in Vicien, a little country village which was to be our headquarters and there Domingo Ascaso (Francisco’s brother, a pugnacious, zealous, level-headed anarchist militant killed during the May 1937 events in Barcelona) paid it a visit as the then commissar of war. It was he who suggested to the Column that it occupy the Galocha plateau, hill 521 – a vast outcrop rising from the plain, watered by the Isuela and stretching flat and regular into the Huesca-Sariñena-Tardienta triangle, extremely important strategically in that it overlooked the front and flanked Zaragoza-Huesca-Jaca highway. Angeloni had the bright idea of nicknaming it Monte Pelado (Bald Mountain). On 25 August the active service element of the Column: the riflemen with Bifolchi and machine-gunners with Angeloni (the rest of the men making up the clerical, kitchen and first aid sections had stayed behind in Castillo San Juan, renamed Castillo Michele Angeliolillo) bivouacked on Monte Pelado and quickly set about digging trenches, from where they could kill without being killed and counter-attack only if there were indications of enemy confusion. At 4.00 am, on 28 August the fascists launched a frontal assault with increasing intensity against Monte Pelado. The first freedom fighter to collapse when a rifle bullet smashed his forehead was the old and well known anarchist militant, Michele Centrone, Well into his sixties, a small, thin southerner, Michele had been one of the first to set out from Paris, where he had been living in exile for years, to rush to lend a hand in the fight for a people’s survival and the freedom of the world. Intransigent but not sectarian, he showed by example the admirable integrity of a life spent in the service of ideals that radiated from his every act, his every expression regardless of place or circumstance. He was one of those modest, obscure militants who make ideas strong with the doggedness, rectitude and sturdiness of their thinking, their unchanging display of feelings, and their constant presence in every action where lives are risked and death scorned. The frontal onslaught was repulsed but it was followed by savage flanking attacks. On the right flank a bullet mortally wounded Fosco Falaschi who died a few hours later. His was another life devoted since boyhood to the anarchist ideal and now gone forever. Fosco Falaschi was a well known figure in world anarchism. A self-educated worker, he had turned himself by dint of sacrifices and dogged application to his studies, into a tremendously learned figure and that made him one of the finest columnists in La Protesta Umana to which he contributed regularly. We in Italy know little about this writer whose contributions went mainly to the Spanish language press. Articles of his had appeared in L’Adunata dei Refrattari sharing with the Italian anarchist immigrants in the United States the demands of anarchist activity and protest campaigns. With the deaths of Michele Centrone and Fosco Falaschi, Italian anarchism had suffered its first rude losses and paid its first bloody levy to international solidarity. On the left flank, Giuseppe Zuddas, a little Sardinian from Monserrato in the province of Cagliari and a member of the Giustizia e Liberta group met his death; and whilst intrepidly crossing some open ground to hurl grenades at the fascist armoured car that was preparing to resist and open fire, so did Mario Angeloni. It was in pursuit of the fascists who had been put to flight that Attilio Papperotto and Andrea Colliva, raising their heads above the parapet, met their deaths recklessly. Among the wounded was Mario Girotti, our dear comrade from Bologna, Cavani from Modena, as well as Matteuzzi and others who made it to the hospitals in the rear. Michele Centrone, Fosco Falaschi, Giuseppe Zuddas, Attilio Papperotto and Andrea Colliva were buried in the little cemetery in Vicien and their graves were soon joined by those of Vincenzo Perrone and Bruno Gualandi who perished in the fighting in September and October. Mario Angeloni died in hospital far from the front lines, in Barbastro I believe it was, and his body was transported to Barcelona where it received a moving demonstration of condolences, which the Spanish comrades also extended to include the others who had also died a hero’s death in that encounter – which went down in history as the most important battle on the Aragon front. Throughout the month of September the activities of the Italian anarchists on the Huesca front and in respect of the French connection remained intense. The securing of Monte Pelado made a whole series of operations against Huerrio, Casa Blanca and Huesca cemetery feasible. In the fighting that attended those operations – the object was to throw a cordon around Huesca and the vulnerable Zaragoza-Huesca-Jaca road – two splendid young Italians of great promise for Italian anarchism perished: Vincenzo Perrone who was, I believe, born in Salerno and Bruno Gualandi from Bologna. In a daring armoured car sortie the Piedmontese Guiseppe Barberis met a tragic end, whilst in the most exposed positions on the entire front, during September and October, Amedeo Giannotti, Romeo Pontoni and Cosmo Pirozzo met their ends. Among the wounded were comrades Guiseppe Raffalli from Montignoso, Giovannardi from Parma and others whose names I cannot call to mind. It was thanks to these comrades’ heroic sacrifice that the positions were held and strengthened. The trench works stretching from Huesca cemetery to the firing line on the right flank of the city right up to trenches manned by Swiss machine-gunners and beyond them by POUM units, were solid. The more exposed entrenchments on the left flank, which took in the Castillo Malatesta observation post – from where comrades Dino Paini and Attilio Scarsi were to keep a patient and depressing watch for months on end – extended as far as Casa Blanca, opening onto the lines of resistance at Cimilla, Huerrio and, further back, Castillo Figueras and Tardienta, the Communists’ command post required constant vigilance and, given the lack of automatic weapons it was only the anarchists’ fighting spirit and daring that made it effective. Meanwhile in Paris the anarchists Cieri, Giglioli and a few others were having to contend with the communists who were dismissive of the anarchists’ efforts in Spain and playing down the significance of the battle of Monte Pelado – which drew praise from the world press and inspired antifascists to make for Spain (lots came from America, among them Libero Battistelli as well as many anarchists) – dismissing it as an inconsequential skirmish, whilst Jesus Hernandez, the Communist Minister of education in the government of 4 September 1936 delivered a speech hostile to anarchists and anarchism, a speech widely reprinted in the Communist press around the world. Tension was thus high when Italian communists and socialists summoned representatives of all antifascist currents, including the anarchists, to a meeting in Paris to consider and decide upon possible collective intervention in Spain by armed units under the control of the parties and the aegis of the Popular Front. The communists intended to set up an International Brigade to fight under the colours of the republican government in Madrid and in their own particular interest, with a rigidly hierarchical command structure and even then dancing to the tune of a Moscow-prescribed foreign policy that was as yet vague but in the process of being fleshed out within the Communist Party. It proved impossible for agreement to be achieved. Cianca and Venturi, on behalf of the Giustizia e Liberta grouping, rejected the suggestion; Antonio Cieri and Rivoluzio Giglioli, on the anarchists’ behalf, vehemently objected to it, arguing that the meeting had heard the Catalan revolution and its dead being insulted and that the intention was to humiliate the anarchists. They stormed out, slamming the door behind them. Unlike Carlo Rosselli and Mario Angeloni, Randolfo Pacciardi had not thrown in his lot with the expedition to Spain. He was in Metz, perhaps waiting for someone to arrive to invite him to join in with the venture. That person turned up in the form of Romano Cocchi, who was at that time a real bigwig among the Italian communists abroad, and Cocchi managed to talk Pacciardi into assuming command of the planned unit that would later be known as the Garibaldi Battalion. Pacciardi had no problems with abiding by the policy of a republican government, but for the communists, having a republican in command of a fighting unit made up mainly of communists signified their absolute obedience to the prescriptions of the Comintern which had changed its line, switching from a wait-and-see attitude to events in Spain to a policy of direct intervention, under cover of the formula of Popular Front, devised for the defence of the Spanish Republic and its government. Thus communists and socialists converged on Albacete where the first battalions of the International Brigades were organised, but it was only around 28 October that the Garibaldi Battalion was formed, by which time the Italian anarchists and their friends had already suffered dozens of fatalities and wounded, and Spanish anarchism had been horribly decimated in combat due to their having unselfishly and courageously taken the lead in the fighting. The International Brigades were the first deployed on the Madrid front towards the end of November, three months after the battle of Monte Pelado, and we would do well to take note of this fact so that comrades may enlighten the ignorant and refute the nonsense of those who, seeking to slander the anarchists, would like to brag about their having been the first to rally to the defence of the Spanish people. But it was not only in the action on the front that the Italian anarchists took part. They were also employed in more delicate tasks and were especially entrusted with special missions requiring particular temperament, talent, courage and a sense of responsibility. In all such important and delicate tasks the Italian anarchists distinguished themselves and on occasion the success of a military operation, an arms deal, or the organisation of a branch of production, etc., was dependent upon them. The moving spirit behind all this joint activity with the Spanish comrades was Camillo Berneri; he was everywhere, tireless, courageous, thoughtful, living through and for the revolution. To those of us who knew him already, he revealed a new side, being transfigured and moving nonchalantly and dynamically through those unstable, complicated surroundings, listening, probing and answering everybody precisely, clear about what he knew, having long mulled over every problem as if it were and old acquaintance of his, when others were encountering it for the very first time. Camillo Berneri was a born revolutionary who matched a practicality seeking to make optimum use of the movement’s strengths and intelligence with the patience of a teacher drawing friendship and agreement from those all about him, and with the delicate sensibilities of a consistent, fair-minded anarchist of deep convictions; a rock of granite unscathed by the passage of muddy waters. For us, Berneri was anarchism incarnate. We could see in him the poetry of a Pietro Gori, the intransigence of a Luigi Galleani, the perspicacity and action of an Errico Malatesta. This philosopher was an anthology of forty years of militant anarchism and he offered it all the Spanish revolution with such simplicity and clear-sightedness that everyone, anarchists and non-anarchists alike, could not but be dumbfounded. He was the safe guide and ever blooming flowers of our activities on the front and in the rear alike. He would be a priceless mentor to us today. We do not mourn for ourselves but for his untimely demise. From France, from America and elsewhere, fresh recruits arrived. Rivoluzio Giglioli and Antonio Cieri joined our ranks. Giglioli, precise, cultivated, used to work on building sites, did not stay with us in the Column but made direct contact with the Spanish command and successfully put together a company of sappers, made up almost entirely of Spaniards and vital in that rough terrain. Just as soon as the had been trained in fortification work, Giglioli and his magnificent men used to follow in the wake of the fighting, and as soon as the fighting men had taken a position, they quickly rendered it virtually impregnable. Cieri did join our column. Daring, dauntless, lively, he was soon in charge of a company of ‘grenadiers’ whose function resembled those of the commandos in army units. Madrid was under threat from the fascist noose. Durruti had set off with a few thousand anarchists and did much to put steel into the resistance of the population of Madrid. Everybody was flat out in pursuit of the same goal; Madrid had to be freed from the coils of death; the fascists must not pass. We too wanted to do our bit for the martyred city. The Aragon front extended over a distance of 140 kilometres. Our plan was to shorten and take the pressure off that front by means of an operation that would enable us to focus all our strength upon the liberation of Zaragoza. Once our forces had mustered around Zaragoza and recaptured the city, we intended to press on with the attack against Navarre and link up with the militias in Bilbao and Santander fighting on the Northern front. Having committed his best troops against Madrid, the enemy had left Aragon to weakened and second rate units. Our offensive, if mounted quickly and with the element of surprise, would have forced the fascists to dispatch reinforcements to Aragon and withdraw troops from other fronts or from the main army besieging Madrid. On 18 November we captured someone coming from Almudevar. Under questioning he stated that the troops concentrated in the town did not number more than 3000. In addition to being Ascaso’s birthplace and thus something of a symbol for our Column which bore the Ascaso name, Almudevar was an important strategic point, a centre of road and rail connections of the first importance. Its capture would have allowed us to break the fascists’ connections between Zaragoza and Huesca, both of which were besieged by militias. The push involved a rapid flurry of battles in Huesca, Zaragoza and Jaca, with Almudevar as the umbilical cord and it would have stamped out any focus of resistance and freed that front completely. We had a hard time getting a decision out of the Spanish command who only gave in to the insistence of Domingo Ascaso, abetted by Bifolchi and Rosselli. But they wanted the operation to be confined to Almudevar alone. The attack on Almudevar was planned as follows: Bifolchi was to attack along the right flank of the town with support from one battery, which then moved around all over the place thus deserving its nickname of the ‘ghost battery’: Rosselli who had been entrusted with the overall command, along with Canzi, Cieri and Battistelli (who was in charge of a second battery) were to press forward through the centre: Cristobal Garcia, a Spanish anarchist, was to push forward along the left flank via Granja del Cuervo towards Tardienta, from where we expected reinforcements in the shape of a thousand men from the ‘Karl Marx’ Division, as promised by the communist Del Barrio. The men on the right flank made a lightning assault and soon reached the outlying houses of Almudevar, whilst the forces in the centre, moving up in a wave formation in support of progress made on the flanks, snatched six kilometres of territory lying beyond Monte FAI and Monte Capri. We awaited the signal that would let us know that Santa Citeria, a fort overlooking Tardienta and in possession of the fascists, had been taken, before moving up along the left flank, but that signal never came and Del Barrio’s men never arrived. We later learned that the communists had misled us with their promise of a thousand men, who they had decided not to send, since such reinforcement would have assured success and boosted the anarchists’ prestige, when they really wanted to see them discredited. Batistelli’s battery, having loosed off a few shells at the start of the attack, then fell silent for a while, having run out of shells and explosive charges. The fighting dragged on for three hours which were spent vainly waiting for reinforcements that never came, and during this time the fascists had time to muster in Almudevar substantial reinforcements of their own brought in from Huesca and Zaragoza. The fascists’ superiority was due primarily to the fact that they outgunned us, and to our being obliged to fight on two flanks only, with our left flank wide open to the danger of a sudden outflanking manoeuvre. We had no choice but to fall back and the operation, which had cost us only two wounded in the attack phase, cost us thirty dead and lots of wounded in the retreat phase. The dead included our anarchist comrades Natale Cozzucoli, Luigi Crisai, Vittorio Golinelli, Guiseppe Livolsi, Filippo Pagani, Corrado Silvestrini and the French anarchist Andre Couderay. Among the many wounded was comrade Vincenzo Mazzone from Messina. Guiseppe Bifolchi had proved that he was possessed of undeniable technical expertise, sangfroid and splendid courage. Antonio Cieri, who had rashly risked his neck a lot in the fighting with sorties alongside his ‘grenadiers’ in the direction of Alcala de Gubierre, found himself surrounded by Moorish troops but managed to extricate himself and make his way back to our lines. The positions captured on Monte FAI and Monte Capri proved excellent as they brought the highway within range of our machine-guns. But the hostility of the communists who had not shrunk from treachery, and the short-sightedness of the Catalan military command, anger at the aborting of the operation merely because of inadequate armaments, disgusted everybody. The nerve-fraying days of positional warfare now began. Our sector of the front looked like it had been completely abandoned. Whilst courage is required in battle, we revolutionaries, raring to go, needed even greater psychological courage to endure trench life without moan or complaint, through the mud and the ice of mid-winter, in temperatures sometimes twenty degrees below zero, in dugouts awash with rainwater. By night we did sentry duty numbed by the cold and snatched some rest on straw bedding in foxholes in Casa Blanca, in graves in Huesca cemetery and beneath tattered canvas. A dog’s life! We endured it with patient stoicism because, realising where our duty lay, we knew that for the first time anarchism had a chance to demonstrate its constructive potential and we felt in one sense as if we were the forward sentries of the social advances being made through the Spanish revolution. The aftermath of the failure to take Almudevar made deep inroads into our morale and into the very life of our Column. We found ourselves consigned to idleness, isolation, sacrifices. Those comrades who still had huge reserves of enthusiasm and the younger ones chafed at the prospect of protracted inactivity along the front. Cieri, the Perissino brothers, Tommaso Serra, Vindice Rabitti, Gigi Evangelisti and lots of others burned with a sacred thirst for action and, more than anything else, cursed the higher ups. I remember one very heated meeting held in the Castillo Malatesta in the presence of Berneri. It went on for nearly 24 hours and in the course of it a lot of things were made clear, light was shed on where a lot of the blame lay, and the situation was weighed up in a dispassionate and practical way. Among the comrades assembled there, there were some who had been in the trenches since August, living amid rats, hardships and lice, careless of the sores afflicting their bodies (often the products of dysentery, blood poisoning and other commonplace trench ailments). They had fought in every one of the battles along that front and had absolutely no intention of kicking their heels and rotting in the trenches. The Giustizia e Liberta personnel had virtually all gone back to Barcelona or to France. The column had turned into an anarchist unit for the most part. A decision had to be made regarding the command of the Column vis a vis the Catalan government and the army command. We all had the highest regard for men like Rosselli and Battistelli and the assertion made by Aldo Garosci in his book The Life of Rosselli which depicts me as hostile to Carlo Rosselli falls short of the truth. I was a friend of Carlo and we had been close since Paris. Our views were not the same and we started from different bases to arrive at what were often different conclusions, but the actual achievements of the Spanish anarchists drew him closer to the precepts of Proudhon and Bakunin for whom he had a great affection, and strengthened the bonds of our friendship. We had no reason to feel hostile towards him and the reasons that induced us to request him to give up the command were of a very different sort. Rosselli was a politician and as such had too many irons in the fire at the same time: there was his newspaper in Paris, his Giustizia e Liberta movement, his dealings with foreign personalities for the purpose of ensuring shipments of equipment, technicians, arms – he had become a plenipotentiary of the Catalan government in certain matters – plus the military command off the Column. At the front things worked out practically like this: he was the nominal commander, whilst Giuseppe Bifolchi our comrade took effective command of the Column. The abortive attack on Almudevar had exposed this deplorable shortcoming. We agreed at the meeting in question that the Column could not go on waging war against the fascists with a commander accredited to the high command and the Catalan government but continually absent from the theatre of operations, and another commander who in effect did have the duty to see the Column’s requirements and deployment of its equipment and manpower for manoeuvres, and who was hampered in his every move because he was not formally recognised by the Catalan government and military command. The dilemma was this: either Rosselli stayed with the Column and thus gave up his political activity, or he passed the command over to Bifolchi. Delegated by the assembly for this purpose along with other comrades, I tackled Rosselli who was then convalescing in the Swiss ambulance on the front from phlebitis that was causing him agony and keeping him bedridden, to pass on the decision we had reached. Rosselli readily understood the arguments we put forward and, in agreement with Battistelli who stuck with us to the very end, he submitted his resignation and expressed himself satisfied that we were replacing him with a man of the worth and competence of Giuseppe Bifolchi whom he honestly considered a friend. We had to refer to the CNT-FAI Regional Committee and take steps to have Bifolchi confirmed as commander of the Column in replacement of Rosselli. Not taking time out to rest, we set off for Castillo Angiolillo at three in the morning. Berneri, Bifolchi, Russo (who was a captain with a POUM unit who had asked us to do him the favour of driving him to Barcelona) and I in Rosselli’s car, driven by Equo Giglioli, brother of Rivoluzio Giglioli (he was killed on the front on 20 May 1937). On account of acute conjunctivitis contracted during the push against Almudevar, my eye was giving me pain and after we passed through Lerida I was sitting quietly while the others dozed after the conversation died down. Giglioli was driving and said nothing and inevitably, worn out, he skidded off the Lerida to Tarragona highway and we found ourselves coming to rest in the car which had shot between two trees along the side of the road, on the right hand side of a newly planted field. This came as a rude shock and the first one to appreciate our position was Berneri, whose head had burst through the canvas roof and framework leaving him with head and face slightly scratched. Bifolchi had a swollen eye and Russo was complaining about his right arm: the worst injured was Giglioli who had sustained a long, deep gash to the ridge of his eyebrows, whilst I was unscathed. We climbed out of the car, got Giglioli to hospital in Tarragona and then journeyed on to Barcelona by train. There we were assured that an offensive on the Aragon front was being prepared. We left full of hope and let our comrades know that we would be very shortly in action ourselves. The night of 31 December found men of every nationality and persuasion together as brothers at a supper laid on by Spanish anarchists and federalists in the ‘mess’ at Castillo Angiolillo and we made speeches in praise of victory and international solidarity. Meanwhile the Spanish newspapers reported that our comrades Gino Bibbi, Giovanni Fontana and Umberto Tommasini had been arrested in Valencia on charges of having sold arms for the Aragon front. The three Italian anarchists arrested in Valencia had been arrested, not by the State police acting on the orders of the central government but rather by a special party police who, with very definite collusion, handed them over to ‘Police Headquarters’ as counter-revolutionaries, and as such they spent a number of weeks in prison. Objections from anarchists turned into a widespread protest campaign by the press, the unions and military units that their arrest was robbing them of precious help, without which a number of military operations would of necessity have to be postponed and re-evaluated. The Defence Minister, Prieto, had to intervene in person to secure their release. Our comrades had been carrying the usual papers plus special safe conducts issued by the Defence Ministry and Prieto himself, to assist them in mounting delicate sabotage operations against the fascist enemy, plus spectacular missions that only an engineer and aviator like Bibbi and experts like Fontana and Tommasini could have performed in the port. But the Bolsheviks had got wind of this and such was the influence they wielded over officials and institutions that the government and its ministers were powerless against them and the comrades’ documents, whose authenticity was incontrovertible, were called into question or downright invalidated. Once freed, our comrades had to give the slip to a manhunt mounted and organised by the Bolsheviks. This episode, together with a lot of others, provides a small taste of the tyrannical nature of certain methods and how mighty an influence the Communist Party had come to wield in the most sensitive areas of government and war policy with its interference. The situation on the Aragon front remained one of ‘no change’. Among us there was a contingent of Swiss fighters, machine-gunners and medics, who deserve mention and praise. The medics ran the field hospital expertly and unselfishly (we used to refer to it as the Swiss ambulance) from its location midway between the Castillo Angiolillo and Huesca cemetery, on the national highway. It was overseen by a professor, a very talented and, in his own country, rather celebrated surgeon. Extremely likeable, modest and mild mannered, he regarded science as a calling and had rushed out to Spain to do his humane duty. He was surrounded by conscientious physicians who made no secret of their sympathies with Russia and the Bolshevik party. Our beloved professor had a special fondness for us Italian anarchists and he soon revealed the way his mind had begun to work by enthusiastically announcing that he was an anarchist, which we made sure to celebrate in the austere privacy of his quarters. It was on that occasion that he overcame his fear and told us about the petty intrigues of his colleagues, their repeated attempts to recruit him and the meanness and petty hatreds they had come to direct at him once they realised that he was prompted by quite different feelings. I came across him after the May events, wandering the streets of Barcelona, of no use to himself or anybody else, at a time when there was a dire need for surgeons and doctors in the hospitals. He wanted to go back to Switzerland but a court in his home town had sentenced him to a six month term of imprisonment for having left the country irregularly at a time when Switzerland was not issuing passports to doctors it suspected might wind up in Spain. The Negrin government had ostracised this scientist, who had carried out operations regarded as nothing short of miraculous, simply because his colleagues at the Swiss Ambulance had made him suspect in the eyes of the Spanish Communist Party. The watchword was ‘hang on’ and for three months we held on to the Huesca front amid unprecedented hardship, impatience and fretfulness on the part of men who had come there to fight, ready to accept even death provided it might help the thing that had spurred them into action. The comrades found it hard to tolerate that daily repetition of the same old chorus, the tiresome work with pick and shovel expended on building up and knocking down again, the presence in the besieged city of Huesca of an enemy that we just knew was vulnerable and within range had we but had the wherewithal to mount an offensive. That sense of abandonment and isolation that gripped the throat, frayed the nerves and soured the mind, turning men from rational beings into crotchety, overbearing ones with no sense of fair play. The suffering we endured over those three long months on our stretch of front cannot be appreciated by anyone who did not experience it. There were comrades there who plotted virtual suicide missions: others who mounted coups de main of addle-minded rashness, driven by the need to ‘stretch one’s legs’. Three months in the depths of winter, in the foothills of the Pyrenees, at the mercy of the elements: three months with no action, defensive or offensive, were truly unbearable. The younger ones chafed at the bit. Among those most determined to break the monotony were Cieri, the Perissino brothers, Gigi Evangelisti, Bernardini and others of tried and tested daring. In Barcelona, comrade Attilio Bulzamini died. Into the rising tide of resentment and malaise fell the command’s response to our insistent and repeated requests for action. But there was talk of a group of volunteers from the Column taking part in an operation on the slopes facing our positions as the prelude to a push against long held and solidly entrenched enemy positions. The operation appeared to offer little assurance of success and back-up, leaving Bifolchi sceptical whilst the more hot-headed reckoned that the objective might well be attainable given sufficient daring and speed: essentially, both views were correct. I was to have taken part in the sortie, but I was taken into hospital in Barbastro with an untimely deterioration in the condition of my right eye, a bad dose of conjunctivitis contracted in the action at Almudevar, on the very eve of the departure of the expeditionary group for Apies aboard two lorries, under the command of Antonio Cieri and Aldo Perissino. Tommaso Serra, a splendid Sardinian comrade who was all faith and kindness, who came to look me up in hospital in Barbastro a few days after the action, brought me up to date with the fate of that intrepid expedition with its countless attendant acts of daring. The action started on the night of 7-8 April. After a lot of mishaps and setbacks, by dawn on 8 April our people had reached the woodland at Apies and had hidden behind the trees and shrubbery there from the eyes of the enemy who were posted on the hills opposite. The position was scarcely the best and as any moment they might be spotted and encircled, or lose contact with the other units, the nearest of which was the P. Kropotkin battalion made up of anarchist youth, which was later to be decimated by fascist aircraft. The Spanish command spoke up. Bernadini, a comrade from Trieste who had a marvellous command of Spanish, translated. The position opposite had to be taken and the machine-guns blazing away from a farmstead known as the Casa Becha located on the brow of the hill had to be taken out. Our people insisted that they should wait until nightfall, when, under cover of the darkness they could have taken the position with a surprise flanking attack and that crossing the 500 metres of open ground between the woods and the hill was certain suicide. But there was no listening to reason: the command gave the orders and they had to advance. And so our people did advance, with the automatic rifles in front and riflemen along the flanks. They were met by an initial burst of enemy gunfire that seriously wounded Gigi Evangelisti (Gigi the Handsome as we used to call him) as he emerged from cover. Another brave young comrade, Luigi Trapasso (Orsetto or Little Bear) died in the attempt. Casa Becha was taken, and the operation passed off successfully with a few dead and a lot of courage: it was an action worthy of commandos and revolutionaries. Some comrades had dropped from the roof into the farmhouse which was still occupied by a few fascists, and it was in the course of this that Aldo Perissino was wounded in the leg. Unable to stanch the bleeding, the wounded Perissino was evacuated to the first aid post in Apies. That was the last we ever saw of him. We searched for him, his brother Corrado and I – some days after calm was restored – to no avail, traipsing from hospital to hospital along the route to Barcelona and back again. The only plausible explanation for his disappearance was that the wounded man and his stretcher bearers had been caught in a bomb explosion and been killed. Aldo Perissino was the third-born of three brothers and one sister, all of them anarchists. Offspring of a very talented and exquisitely sensitive painter, they switched from a comfortable existence in their unforgettable Venice home to a life of toil and privation in Paris, where they had been forced to flee due to harassment by fascists who especially targeted the second-born and most pugnacious of the four, Mario. Tall, sturdy and highly intelligent, Aldo had been passionate and thoughtful by nature. He had embraced our ideas with enthusiasm and conviction: he was one of the best hopes of our movement. He had conducted himself heroically in the operation, with superior judgement and generosity: he was able to exhort, comfort, reason and make decisions. He was a man of action, a born revolutionary. That night while inspecting the captured position to ensure that all was as it should be, Antonio Cieri was struck in the temple by a rifle bullet fired from an adjacent enemy-held hill and was killed instantly. A native of Vasto, Cieri had embraced anarchism at a very early age. By nature exuberant, daring and resolute, he had taken part in the defence of Parma against Italo Balbo’s fascist hordes alongside the arditi del popolo (people’s commandos) and together with Guido Picelli made an effective contribution to the resistance offered from the fortress that the old Parma across the river had become, resistance that compelled the fascists to beat a retreat as happened in Sarzana in July 1921. The people of Parma still remember that fair-haired youth who flitted from group to group offering encouragement, and those adults whom I had occasion to meet in Parma after the Liberation still spoke of him with emotion and affection as if he was a fellow townsman of theirs. In Cieri and Perissino we lost two priceless assets to our movement and our idea alike, as well as to the revolutionary struggle in Spain. They belonged to that breed of militant who had seen it all: struggle, misery, imprisonment, exile, and yet they remained more firmly wedded to anarchism than ever, making their own contributions to the cause whose very existence was increasingly in jeopardy, beset as it was by dangers and snares, we militants sensible to the ever growing burden they have to bear with every one of our number whose body is returned to mother earth. It proved impossible to hold the positions captured in this operation. The fascist counter-offensive was murderous in the extreme. Spectacular numbers of tanks and aircraft fell upon men bereft of motorised transport, who put up heroic but atrociously inadequate resistance. The loyalist troops had to beat the retreat and Casa Becha also was abandoned. Our Italian and Spanish comrades fought like demons, making astute use of the tiniest crease in the terrain, dispersing guerrilla-like to deny the enemy an overly visible target, desperately but with a magnificent spirit of solidarity heightened by danger and death. Other Italian anarchists perished in this tremendous combat: Angiolino Brignani, Vittorio Ortore, Raffaele Morote, Giuseppe Pesel, Carlo Poli, Raffaele Serra: among the wounded were Bernardini from Trento and others whose names I cannot recall. After a short stay in Barbastro hospital, the survivors, exhausted, lacerated and in pain, grieving for the loss of so many colleagues, set off on the journey back to Barcelona, where, on 25 April, by arrangement with the Spanish command they were joined by the remainder of the Column which had stayed behind on the Vicien front, together with Bifolchi, Canzi and Battistelli. Our comrades had seven consecutive months of front-line service under their belt: a complete summer and winter. No further demands could be made of a man’s physical resources: many of us had lost several kilos in weight, to the great annoyance of our cook at Castillo Malatesta, Marcello Bianconi, a jovial two hundred kilos plus. But, for the sake of the truth, it has to be emphasised that it was not so much the failures at Almudevar and Apies that determined the Column’s return to Barcelona, as the damned inactivity of the Huesca front, contrived by the central government and the Bolsheviks, whose sole preoccupation was with trying to undermine the anarchists’ prestige by doing each and every thing they could, no matter how low, to place obstacles in their way, plus the campaign in favour of militarisation of the militias and their absorption into the regular army, which was being stepped up and issuing threats against those who failed to comply. We had travelled to Spain with very clear aims in mind, and although we were antifascists we intended to remain antifascist revolutionaries and anarchists. No trickery and no bullying could have forced us into being the soldiers of a government, much less a government that had let itself be taken over by, on the one side, middle ranking bourgeois like the civil servants, professionals, businessmen and smallholders won over to the Communist Party by its formula of a broader Popular Front, and on the other by the Bolsheviks who brought shameless pressures to bear on the government, using Russian arms shipments as leverage. In Barcelona, the comrades were billeted as best they could manage: some at the Spartacus barracks, some with the Malatesta group, Squadrini, back from a long stint on the Aragon front despite his years and ailments with the family of Girotti (wounded on the Huesca front), some in the Calle Muntaner, some with comrades like Gialluca and dear Maria who gave of their best in Barcelona’s collectivised industries from the earliest days of the struggle right up to the exodus at the end of it. Berneri and Barbieri, Mastrodicasa and Fantozzi, Fosca Corsinovi and Tosca Tantini occupied a first floor apartment at No 2, Plaza del Angel, at the intersection with the Via Layetana. As can be seen, the comrades were scattered all over the place and the only liaison point was the USI (Italian Syndicalist Union) branch that occupied two small rooms in the CNT’s premises: Celso Persici, Domenico Ludovici from Il Risveglio of Geneva, Virgilio Ghozzoli who edited Guerra di Classe along with Camillo Berneri looked after these rooms and they all saw to propaganda and liaison with the international anarchist movement. We had a long and stormy meeting at the Malatesta group and a variety of schemes and plans were ventilated by the comrades. Some would gladly have seen the anarchists enlist with the Garibaldi battalion commanded by Pacciardi, which was preparing an operation on the Huesca front (this later turned out to be the battle of Cimilla, mentioned by Fausto Nitti in The Major is a Red which probes the battalion), even if for that operation only – Battistelli, Canzi, Mariotti and a few others had already transferred to it: others argued, first, that the intention was to disgrace the anarchists by mounting an operation on that front at the very moment when the Column had been obliged to return to Barcelona by the pigheadedness of the Spanish command in refusing to accede to our demand for action on the front, and, secondly, that if the command withheld permission for the Column to be reorganised as a politically independent free corps in a position to operate with complete freedom of movement, engage in coups de main and marginal operations that would simultaneously have enabled it to retain its combat and revolutionary vocations, then the best thing was for each of us to reclaim his personal freedom, and make ourselves useful in some anarchist collective or wherever he judged best. On 3 May Camillo Berneri made a radio broadcast in commemoration of Antonio Gramsci, paying tribute to him in a speech in a moving spirit of brotherhood as an antifascist who had perished in the hands of the enemy, a cultivated man and a political adversary. That was the position and the climate prevailing in Barcelona when the incidents in Barcelona burst unexpectedly upon us. The attitude of the Communists had come up for consideration at the meting of Italian anarchists in the Malatesta group’s hall. A decision had been made that we would keep in as close a contact with one another as we could, and, in the event of direct threat to our persons, would muster at the Italian Section of the CNT Defence Committee and at the Spartacus barracks. But it was hard to put this decision into practice, given the speed at which things moved, for they caught every anarchist in Barcelona unawares, Domingo Ascaso included, though he was usually so well informed: he was treacherously murdered in Gracias, smack dab in the middle of Barcelona, whilst getting out of his car. In the early hours of the afternoon of 3 May, two lorry loads of Civil Guards drew up outside the premises of the Telephone Exchange in the Plaza de Cataluña. Simultaneously, substantial numbers of Guards on foot and armed groups from the PSUC (Unified Socialist Party of Catalonia – communists) took over the buildings adjacent to the Exchange and all the strategic points in the city. Since 19 July 1936 the Exchange had been converted from a privately owned company to a collectivised industry run by the CNT, with support from grassroots members of the UGT. The government had decreed a state take-over of the economy, at the instigation of the communists who hoped to take the government over politically once the Catalan economy had been wrested from the control of the unions. For some time the government and the communists alike had been seeking to introduce state capitalism, or, at least a restoration of private capitalism: this, they reckoned, would win them the sympathy and perhaps the support of capitalist governments in Britain and France, luring them out of their ‘non-intervention’. They had vented their spleen on the libertarian collectives, targeted the anarchists with their physical hatred and declared open war on the FAI and the CNT. The storming of the Telephone Exchange was the first essay at a communist coup d’etat, to be followed up by steps in the process of political and tactical take-over that would leave the Spanish Communist Party master of the situation and Russian Bolshevik agents the arbiters of Spanish foreign policy. We thought that that was the plan laid down by Stalin, and facts later confirmed that, just as we were preparing to resist it. The attempt to seize the Telephone Exchange building was repulsed by the workforce there. With the extraordinary speed of an emancipated and naturally revolutionary people, the populace retaliated. It was instantly able to identify the culprits and asked for the dismissal and arraignment before a people’s court of Rodriguez Salas, the commissar-general of Public Order, off Aiguade, the Minister of Health, Joan Comorera, the commissar in charge of Supply (provisions)… all three of them known communists of the PSUC, of which Comorera was in fact the general secretary. Everywhere the workers threw up barricades. Our comrades stayed where they were when events overtook them and were unable to move around at all. Most of them were concentrated along with a few weapons in the Spartacus barracks and at the Defence Committee offices, where Bifolchi was. Zambonini, the brave comrade who was to be shot in Italy by the Germans, was at the Foodworkers’ Union along with a lot of others – he sustained serious facial injuries there. Angelo Buschi was at the Metalworkers’ Union, some others were at the Textile Workers’ Union in the Plaza de Cataluña, whilst I was at the Defence Committee in the Plaza de España along with Corrado Perissino, Emanuele Granata and Verde (an Argentinian). The toll in those days of horror which lasted from 3 to 7 May was 500 dead, and upwards of 1400 wounded, almost all of them members of the anarchist movement and the CNT-affiliated unions. Camillo Berneri was murdered on the night of 5-6 May and his body was recovered by the Red Cross from the land between the right hand side of the Plaza del Angel (where he had been living) and the Plaza de la Generalidad, parallel to the Calle Roland. Francesco Barbieri, arrested by the very same killers dressed as police personnel, was found dead in the Rambla de las Flores. We – Canzi, Fosca Corsinovi, Vincenzo Mazzone and I – identified both bodies on the morning of 6 May at the Clinical Hospital. The murder of our comrades bore all the hallmarks of political assassination and it was not hard to identify the political movement to which the perpetrators belonged, since they were the same people who had murdered Domingo Ascaso, Jean Ferrand (the grandson of Francisco Ferrer), the POUM secretary Andreu Nin, the Austrian revolutionary Kurt Landau, Marc Rhein (the son of Raphael Rhein Abramovich of the Executive Commission of the Second International) and Hans Beimler, the one-time German communist deputy. Other Italians had been murdered for belonging to the Italian Column and other FAI and CNT combat units: Adriano Ferrari, Lorenzo Perretti and Pietro Marcon, who were buried in the same cemetery and alongside Camillo Berneri and Francesco Barbieri. On 20 May Rivoluzio Giglioli died at Carascal No 2, at the position known as Torraza. Whilst his company of Sappers was fortifying the position, he broke cover and was hit in the lower stomach by a bullet that ripped through his intestines. Rushed to hospital in Barcelona, he died under care there, content to die for the cause for which he had given his all, from his childhood in Modena through to his time of exile. Giglioli’s death in 1937 brought to a close the long list of Italian anarchists who perished in idealistic affirmation of international solidarity and for the liberation of the Spanish people. Lots of anarchists stayed in Spain right to the end of the hostilities, the defeat and the massive exodus from the country. Lots of Italian anarchists too were jailed, thrown in prison without ever being given a reason for their detention: many of those who enlisted with the Spanish anarchist formations suffered that fate: lots stayed with the agricultural or industrial collectives right up to their dismantling by violence. The Italian anarchists’ contribution to the Spanish revolutionary experiment was wholehearted, unselfish and sincere: a veritable poem of generosity, fraternal solidarity, audacity, consistency of ideals and sublime resolution, which had its sequel in the liberation struggle in Italy. On 1 May (1937) I was not in Barcelona but in Albero Bajo where the 26th Division had its command headquarters. (Returning to Barcelona) I went to Sans to the Defence Committee run by Giovanni Verde, an Italian comrade who had lived in Argentina. I was his guest and quickly rushed to the phone, making calls here and there, but no one could give me any news of Berneri, until I had a call from Canzi after a couple of days. He told me: “I’ve been told that Berneri had been killed and that the corpse can be found at the morgue at the Policlinico hospital”. So we arranged to meet up and we went to the hospital, Canzi, Fosca Corsinovi (Barbieri’s partner), Vincenzo Mazzone from Messina and myself. At the Policlinico there were at least 400 bodies. We started to sort through the drawers… and I heard Corsinovi faint. She had recognised Camillo’s socks, because she had done his darning. Then came the funeral. Berneri’s funeral procession followed an itinerary set by the Generalidad. Now this was a funeral for five, not for two, because Berneri and Barbieri had been joined by Ferrari and by someone else whose name escapes me just at the moment (it was De Pedretti- editor’s note) who had been killed because they were wearing black and red neckerchiefs with ‘FAI’ written on them. We wanted our own itinerary and not the one set by the government and above all we wanted to march, especially past the Hotel Colon, which was the Russians’ headquarters in the Plaza de Cataluña; and we did. At the head of the procession there were a hundred flags, all the unions, all the groups, followed by five tanks and behind the tanks a hundred anarchists from the MIR, the Revolutionary Investigation Movement, complete with their Mausers, and then the crowds. I marched in front with the Italian flag [the Italian anarchists’ flag, that is – editor’s note] and when we drew parallel with the Hotel Colon I waved the flag and all the other hundred flags waved, with their flagpoles pointed towards the hotel. This was a provocative act and our belief was, well, that they would respond to the challenge. But no, not a thing. They stood to attention and saluted. 1900 – Umberto Marzocchi born in Florence on 10 October: his parents are from Livorno. 1917 – As a labourer working for Vickers-Terni at the naval dockyard in La Spezia he attends night classes at the Arts and Crafts School. With a number of anarchists excused front line service he refloats the Metalworkers’ Union affiliated to the USI and serves as its secretary. Along with a number of very young people he was active in all of the agitation and strikes at the end of the war (in November 1918). 1919 – The anarchist movement in La Spezia is resurrected (ithere are 30 groups scattered along the bay from Cinque Terre to Arcola). The newspaper Il Libertario is resurrected and run by Pasquale Binazzi on his return from internment in Lipari. On 16 June there is rioting in La Speia against the cost of living: the police open fire, killing 2 workers and wounding 25. Marzocchi serves on the campaign committee. He is arrested and jailed in Sarzana but acquitted in court and freed after 54 days in custody. The court in Chiavari sentences him to six months in jail for “incitement to class hatred” for a speech he made to an anti-government protest rally, after some early fascists threw a bomb at a workers’ procession in Milan killing one and wounding a number of others. 1920 – There is an attempt at revolution in the garrison town of La Spezia. On 3 June there is a raid on the Val di Locchi arsenal; a number of sailors are involved and there is a mutiny on board the destroyer Duilio, in which Marzocchi is involved. Tried in his absence on 21 February 1921, he is acquitted. He plays an active part in the factory seizures in La Spezia on 2 September. 1921 – After the fascists on the evening of 23 March smash the presses on which the daily Umanità Nova is produced in Milan, Il Libertario becomes a weekly and Marzocchi joins the editorial team. But his position becomes untenable: having escaped repeated provocations and threats from the fascists, he flees to Savona. There he plays an active part in the local anarchist group. He represents the Savona anarchists on the Antifascist “Labour Alliance” Committee that backs the antifascist general strike declared across the country on 3 August. on 8 August, fascists from all over Liguria and Piedmont descend on Savona to punish the city for its antifascism. The town hall, where Marzocchi is working, is seized and fascists from La Spezia hunt him down, meaning to make him pay dearly for having organised the ‘Arditi del Popolo’ and his participation alongside these arditi in the events in Sarzana on 21 July, in connection with which he was charged but acquitted in court. With the help of colleagues, he manages to get away and flees to France where he spends the next 23 years, enduring expulsion orders and imprisonment, living under assumed names and up to his neck in all the anarchist and antifascist struggles. 1936 – Along with Camillo Berneri, he serves in the Francisco Ascaso Italian Column, part of the CNT-FAI militias on the Aragon front in Spain. 1939 – After the defeat of the Republic in March, he returns to France, fighting against the Nazi invasion and contacting the French Resistance (FFI) in Toulouse. He works in the lead and zinc mines in Sentin in the Ariege department, 2000 metres above sea level. He spends two years there organising smuggling lines across the border. 1942 – He moves to St Girons and in 1944, his mission in the city complete, he rejoins his partisan unit, the Bidon 5-Spanish Unit of the FFI, made up of anarchists and socialists. On 20 August 1944 his unit takes part in the liberation of St Girons, Rimont, Pamier and the Le Vernet concentration camp – where German POWs replace the freed antifascist inmates. 1944 – That October he carries a message of support to the Iberian Anarchist Federation Congress [There was a national plenum of regionals of the MLE in France held in Toulouse 5-13 October 1944 (maybe the FAI held a sub-meeting at the same time)] and sets off with G. Leval and Mirande on a lecture tour on behalf of the SIA (International Antifascist Solidarity). 1945 – Re-enters Italy (by irregular means, the National Liberation Committee government having refused to withdraw the immigration notice recording Marzocchi as an “anarchist to be arrested on sight”) and resumes his propaganda work, writing for Il Libertario, Umanità Nova and Volontá and touring Italy wherever called upon to give talks and hold rallies on behalf of the Italian Anarchist Federation (FAI), for which he handles mostly international relations, in which position he is conformed by every FAI congress. In accordance with the recommendations of the Carrara Congress (15-19 September) he joins the Trade Union Defence Groups and up until 1955 – serves as secretary of the Savona Provincial Local Government Employees’ Union. 1958 – Attends the International Anarchist congress in London as the delegate from the Italian Anarchist Federation (FAI). 1969 – In the wake of the State massacres [The bombings in Milan and Rome carried out by fascists linked to the Italian security service as part of the ‘Strategy of Tension’], he is subjected to searches by the police, like lots of anarchist comrades. 1971 – The IFA congress in Paris entrusts the Liaison Commission of that International to the Italian FAI. Marzocchi serves as its secretary, a post he holds up until 1983. 1977 – He is among the sponsors of the refloating of the Italian Syndicalist Union (USI) and the Italian League for Unilateral Disarmament alongside Carlo Cassola and other anti-militarists. 1977 – He is arrested in Spain along with other comrades at an international anarchist gathering to reloat the Spanish FAI. After a few days he was freed and expelled from that country. 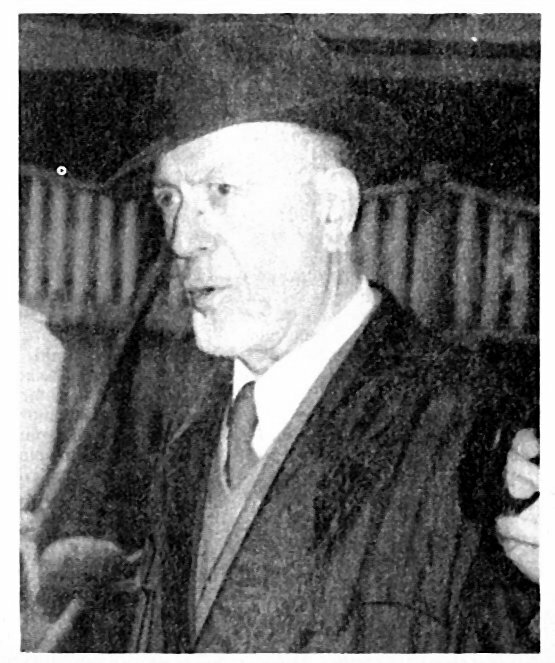 1983 – At the Ancona Convention marking the 50th anniversary of Errico Malatesta’s death he reads a paper on “The lesson of Malatesta”. From Umanità Nova (Livorno) 15 June 1986. One of the founders – with Malatesta and Luigi Fabbri – of the UAI (Italian Anarchist Union) in 1920. Savona provincial president of the ANPIA (National Association of Italian Antifascist Victims of Political Persecution), provincial president of the ANPI (National Partisans Association of Italy), national vice-president of the AICVAS ( Association of Italian Antifascist Volunteer Fighters in Spain). This is the full text of the second edition published by the Kate Sharpley Library http://www.katesharpleylibrary.net/xgxf5b. The KSL collective are always happy to get donations from people who want to support the work they do. This may not be the best place to post this - however there is a mention of Italian anarchists helping a republican to escape into France in 1939. Look for podcast: 'Fleeing the Spanish Civil War'. Mon, 26 Jan 2015, 9 minutes.